After spending some time with After Burner and Ghost House on the Sega Master System I finally found a title to sink my teeth into. Ys: The Vanished Omens is the first game in Nihon Falcom’s long-running action-RPG series. Released for the system in 1988, I really enjoyed it and intend to publish a walkthrough and a review in due time. I want to say I purchased this game this year, although it may have been late 2013. My PSP collection has seriously expanded as GameStop shifted towards discontinuing the platform in the majority of their stores. Anyway, being a fan of JRPGs I’ve always been interested in this series but never took the plunge. I knew these games were remakes from a much older line of games, but reading about the series is a good refresher on just how many games remained exclusive to Japan in the late 1980s/early 1990s. This is actually the fifth game in the series, and the third in a trilogy. I haven’t played it and while I’d like to, I can’t say when I will. 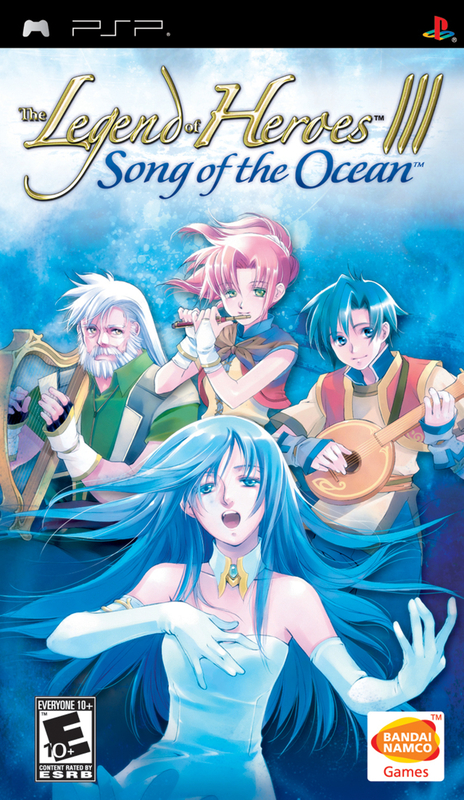 The Legend of Heroes III: Song of the Ocean was originally developed and published by Nihon Falcom and released for the PC on December 9, 1999, exclusively in Japan. It finally reached North America as a PSP remake. This version was developed by Microvision and published by Namco Bandai Games on January 23, 2007.